In the medieval kingdom of Goredd, women are expected to be ladies, men are their protectors, and dragons can be whomever they choose. Tess is none of these things. Tess is. . . different. She speaks out of turn, has wild ideas, and can't seem to keep out of trouble. Then Tess goes too far. What she's done is so disgraceful, she can't even allow herself to think of it. Unfortunately, the past cannot be ignored. So Tess's family decide the only path for her is a nunnery. But on the day she is to join the nuns, Tess chooses a different path for herself. She cuts her hair, pulls on her boots, and sets out on a journey. She's not running away, she's running towards something. What that something is, she doesn't know. Tess just knows that the open road is a map to somewhere else—a life where she might belong. 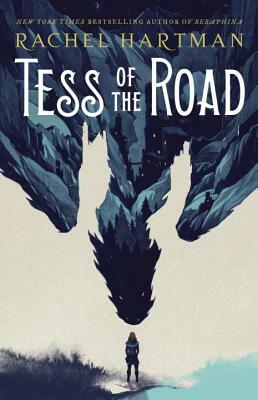 But to put it briefly (if such a thing is possible), Tess of the Road is a shockingly good book that presents an “unlikeable” main character and proceeds to deconstruct the world that assigns that role to her, an interrogation of a patriarchal society that ingrains shame in its women from childhood, a story of fury, redemption, self-reliance, self-forgiveness, faith, and awe. Not to mention some of the most imaginative dragons I have ever read. Intensely feminist and deeply compassionate, Tess of the Road is a perfect book to pick up in 2019. I cried multiple times—it’s likely you will too.